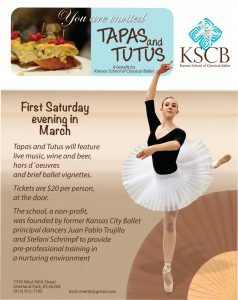 The purpose of Tapas & Tutus is to create a casual evening where KSCB can showcase our talented students, communicate our mission to prospective and current supporters, provide an entertaining evening for our guests, all while fundraising for special programs and projects for the school. For more information about our next Tapas & Tutus event, please check our Upcoming Events page or Events page. On Saturday March 2, 2013, we held our first Tapas & Tutus benefit event. Our goal to raise funds to purchase romantic tutus was enthusiastically met by our many generous supporters. Over 20 donors helped provide our costume shop with the romantic tutus required for future performances. Our second Tapas and Tutus event was held on Saturday March 1, 2014. The evening’s success exceeded our expectations. With the help of our gracious donors, we completed a new permanent costume shop along with new student dressing areas and a new dance studio; we hosted guest teachers Monica Guerrero (IncolBallet, Colombia, South America) and Vladimir Issaev (Vaganova master teacher) during our Summer Workshop; and we provided full scholarship to 25 International students from Colombia, South America during our Summer Workshop. Tapas & Tutus 2015 was held on Saturday March 7th at our studio. The evening was an opportunity for KSCB to recognize the distinguished careers of Elizabeth Hard-Simms and Michael Simms and their important contribution to the arts education community in the Greater Kansas City area. With the donations raised by our generous supporters, we were able to assist in the funding of our student scholarship program and initiate our multi-media learning center and library project. 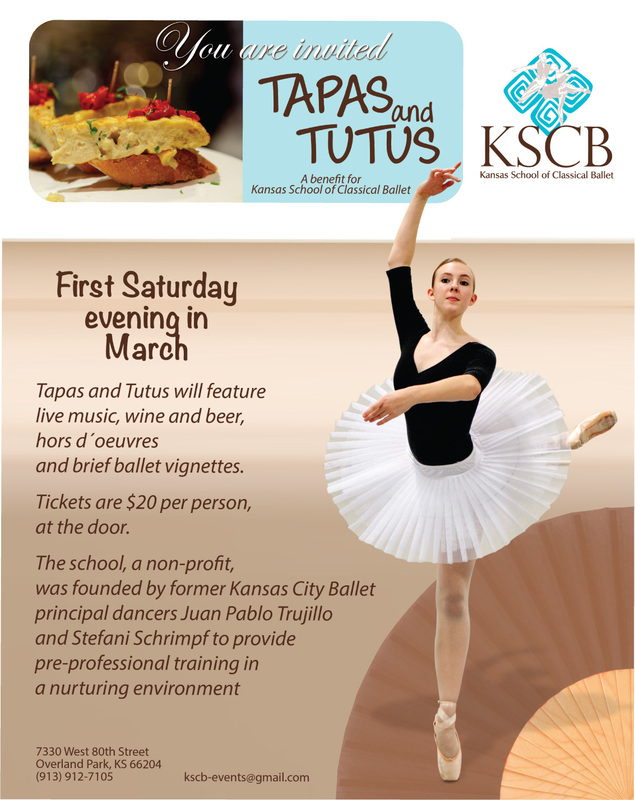 Tapas & Tutus is an annual benefit for Kansas School of Classical Ballet. It is held on the first Saturday evening in March.